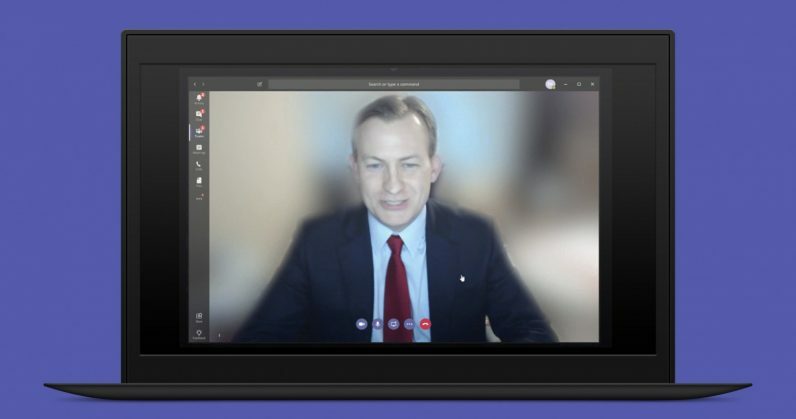 Paging product managers for Skype, Apple FaceTime, WhatsApp, and any other service that lets you make video calls: Microsoft has hit upon a solid new feature that should help make conference calls a little less awkward, and a whole less stressful for everyone. The company’s Teams collaboration and group messaging app now has an AI-powered Background Blur feature for its video calls, so you no longer have to worry about whether you’ve left clothes lying around on the couch behind you, or about your kids popping into your home office to see what all your big important meetings are like. This is the future, folks. I’d love to see it adopted by other apps. Logitech’s $200 Brio 4K webcam has a similar feature in beta, but given that some of our phones now sport dedicated AI chips, I imagine that we won’t need specialized hardware tethered to our laptops to make this happen across the services we use most often. Microsoft is also using AI to record meetings and play them back with captions and a time-stamped transcript. If your company hasn’t yet hopped onto Slack or a similar service and you have several colleagues working remotely, Teams might now be worth a look with these new features.